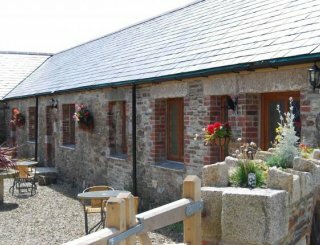 Graston Farm Cottages, Burton Bradstock, Bridport, Dorset, sleeps 2-32 in 16 bedrooms. Sofa beds are available for additional guests. 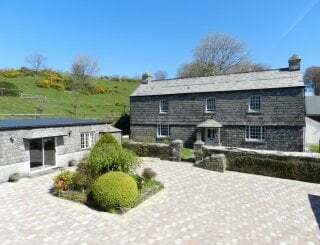 The cottages are all adjoining with Courtyard and Cobbles having interconnecting doors which make them ideal for large groups of family, friends or work colleagues to get together, while still allowing individual space as required. 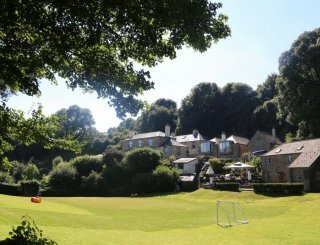 Sorry - we do not accept stag groups, and it would be appreciated if large groups wishing to party could book the whole site so as not to inconvenience other guests. 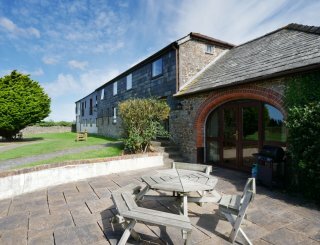 Graston Farm is a working farm (with cattle, sheep and hens) set in the beautiful tranquility of the Bride Valley and only 30 minutes walk from the Hive Beach on the famous World Heritage Jurassic Coast. 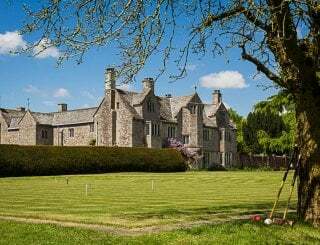 The farm is steeped in history with Graston being mentioned in the Domesday Book of 1066. 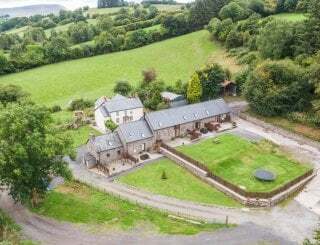 The cottages are the result of conversions from the centuries old traditional stone barns on the farm, now offering four star accommodation with modern day standards of comfort, while still incorporating many original feature characteristics from the original barns. 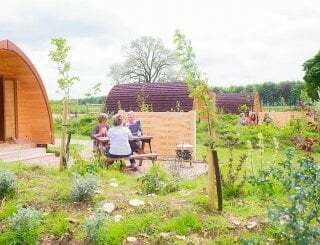 Each cottage is comfortably furnished and with individual facilities including nine bathrooms between them, with Hopscotch having a downstairs en suite wet room with wheelchair access. 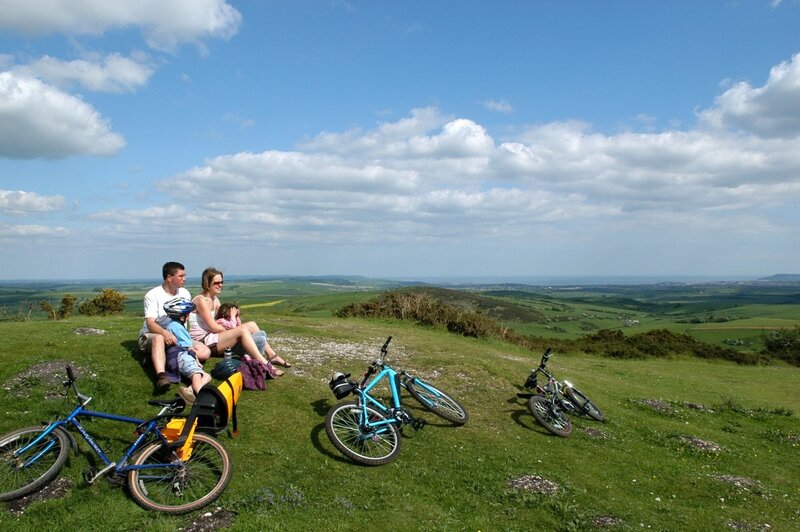 Graston Farm Cottages occupy an ideal location for a relaxing break or an activity holiday walking through the attractive and tranquil countryside with footpaths leading to the South West Coast Path. 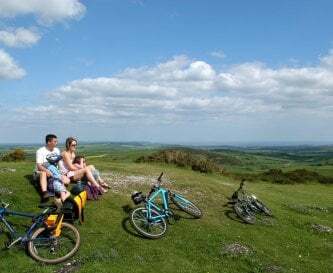 Also we are adjacent to the National Cycle Route No 2 and will be able to offer electric cycle tours provided by our partner Jurassic Electric Bike Adventures who will be starting tours from the farm. Please be assured of a warm welcome from your hosts Andrew and Chrissie Bailey who are on site to cater for your individual needs or interests. Each cottage has a fully equipped kitchen with fitted units, dishwasher, auto washing machine, fitted oven/hob, fridge, microwave, cooking utensils. Each cottage has a dining area with table to accommodate up to eight persons. We can rearrange furniture to double this number in one of the cottages. The sitting rooms have two comfortable sofas including a sofa bed if needed. There is an easy chair plus heavy matching oak furniture and wood burner. There is a 42" TV in each cottage which has an internet facility (dependant on internet speed at the time). There is also a DVD player with each TV. A games room is in the planning stage. An efficient wood burner is in each cottage with a complimentary basket of logs. Central heating is in every room served by a biomass boiler. There are two doubles and one twin room in each cottage with the addition of an extra bedroom in Courtyard with bunk beds. Each property has two bathrooms with Courtyard having three and Hopscotch an additional downstairs WC. Hopscotch has been constructed with wheelchair access in mind. There is level access throughout the ground floor and a downstairs en suite bedroom. Cots and high chairs are available and children are encouraged to visit the animals including collecting the eggs and can be given a guided tour. 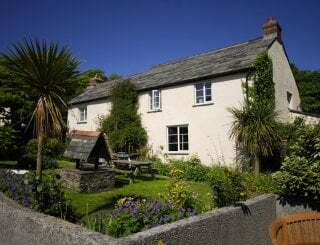 There are individually landscaped and securely fenced gardens with each cottage. Also an open grassy area beyond for all to enjoy. There is space for two cars adjoining each cottage and extra space for additional vehicles a few steps away. We respectfully ask that visitors do not smoke in the properties or near to farm buildings. We do welcome pets with a small surcharge for each. 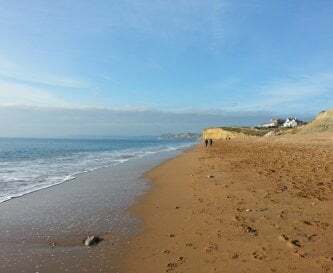 Graston Farm is located 2.5 miles east from Bridport and 1 mile out of the village of Burton Bradstock along Annings Lane. 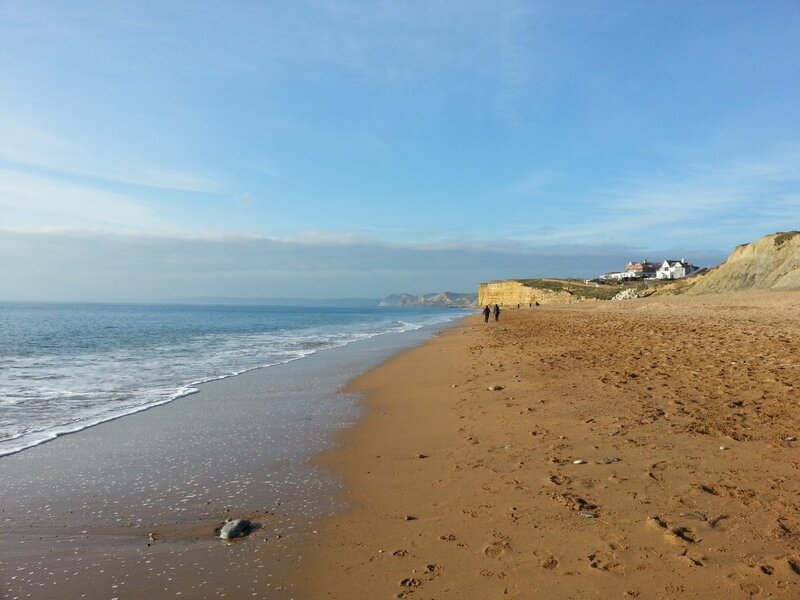 Between Weymouth and Lyme Regis, and close to the Jurassic Coast. Bridport is the nearest town being 2.5 miles away and is historically famous for it's indigenous rope and net industry and also for it's family run traditional brewery. Modbury Farm Shop is three quarters of a mile, there is a well stocked convenience store in the village one mile away and Morrisons, Waitrose and Lidl in Bridport. The Three Horseshoes and Anchor Inn are in the village one mile away and also the internationally known Hive Cafe on the beach. Prices are samples only, based on a single cottage. Contact us by email or telephone with your requirements and we will quote accordingly. Changeover days are Fridays and Mondays although out of season this can sometimes be flexible. Specific weekly prices are shown on our website. Outside the Anchor Inn in the village. Includes the Jurassic Scenic coastal route. Exeter, about 30 miles away, and Bristol, 45 miles.